This category produces document templates based on input parameters. At the moment there is just one effect in this category. This effect produces a template for a Perfect-Bound Cover as found in Print On Demand services. The template sets the document to the correct size and creates guides for the front cover, back cover, and spline of the book, including the specified bleed. 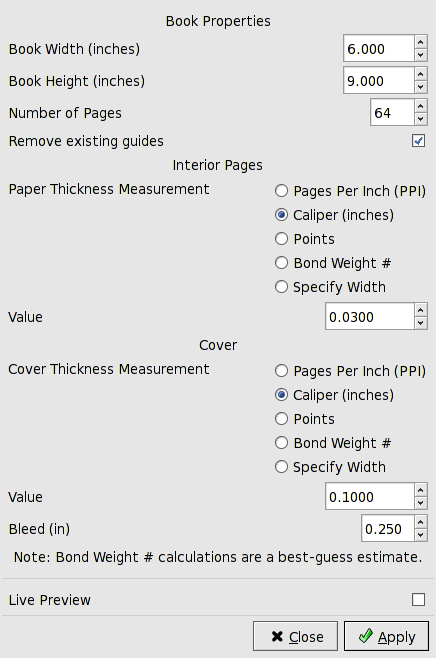 The dialog allows for specifying a variety of parameters including the number of pages in the book and the thickness of each page. The effect is biased toward English measurements. The dialog for the Perfect-Bound Cover effect. An example of using the Perfect-Bound Cover effect with the inputs shown in the dialog screenshot above. 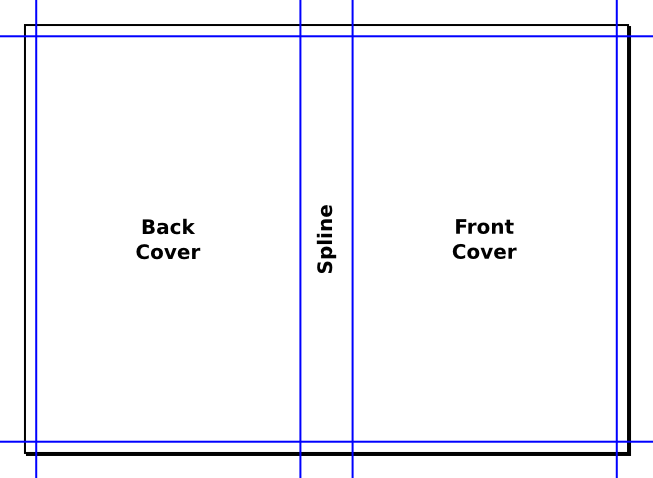 The front cover, back cover, and spline regions are labelled. The outer blue lines also show the bleed.